Don’t Start Direct Sales Company Before Reading These Tips. Don’t Start Direct Sales Company Before Reading These Tips. Of course, these can help prevent unnecessary mistakes. Truly, when I started, I wished I had some literature with: “Don’t Start Direct Sales Company Before Reading These Tips.” No doubt, I could avoid many mistakes. 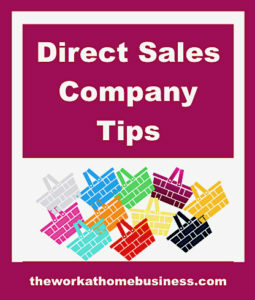 Key focus of this post is to share some tips about Direct Sales. All of these are based on my experience. Hence, the title Don’t Start Direct Sales Company Before Reading These Tips. These days, Direct Sales, has just about everything at your finger tips to start your business immediately. For instance, a website with the products, shipping and handling, payment and customer service are all taken care of. To emphasize, all the tools you need are in place. Surely, this sounds enticing, and you can get going in no time. I was enticed with all the goodness, but had little success. In reality, your business package depends on your budget. By the same token, you don’t have to stick to any particular package, but just make sure you select what you are comfortable to work with and that it is best for you. Bear in mind, that like any other business, you need to work hard at it for success. At the same time, up to date training with the latest sales methods can certainly help to get things going for you. Equally important is that you liaise with your advisers for the best sales strategies. First of all, remember that the category you choose needs to be a high demand area. As a matter of fact, it is best if you choose one that you are comfortable with and will use the product every day. Given the many categories, look for one that fits consumers daily need. Whether you make a choice from health, home, food, pet supplies or beauty, the product should be commonly used. Most people can use the product with little or no age restriction. In other words just about everyone in the family can use the product. Products must have a high demand. To clarify here, consumers must have a need for the product. Key point is that people will always need to use the product. To emphasize, it is an essential for daily living. Equally important is that the product can be reordered. To point out here, consumers can buy this product over and over again to use it. All things considered, the direct sales company offers an attractive commission along with other incentives. Choose some companies that appeal to your niche and do a thorough check on each website. Make a note of the commissions, start up costs, training and incentives. Next, you can go to the Direct Sales Association website to see if they are listed. Following that, you can also dig deeper into each company and check the Better Business Bureau to see if there are any complaints. In addition, check consumer watchdog, and the Federal Trade Commission. Point is, you want to make sure that the companies are reputable ones. Pursuing this further, you can attend a party near you or check to see if they have a virtual demonstration available. Another key point is that you can turn to social media to link up with other sales representatives or consultants. They are the ideal people to give further insight about the company. Then again, you can also check online to see if there are any reviews about the company, both positive and negative. By all means, try to familiarize yourself with basically all the information about the company. Read extensively about the company’s operation: For instance, when and how it started, how many consultants are with them, the financial success of the company and the number of active sales representatives. Furthermore, you can also discover more about all the products they sell. In like manner, you can try to attend the training sessions, collect and read their brochures. Remember you want to learn as much as possible about the company that you will represent. In case you need to find out more about a particular concern, you should try to get clarification. For example, how much is your pay connected to the recruitment of new sales representatives, in comparison to selling products. Additionally, get details about their privacy and return policies, and of course the start up cost. Usually, the starter kit has samples of the product, training information and also about the company. In case you are pressured to make other purchases, with the kit, get answers as to how it can help you to be more successful. Notably, you need to clarify the stipulations that are attached to your orders. For instance, returning products if you decide to discontinue with them. For this reason, you can strike a deal with the company for at least an 85% – 90% money back guarantee on products that are not sold. Albeit, unused kits and company materials should also be included. Given these points, things will run smoother when you start your direct sales business. Unlike me when I first tried to sell with a Direct Sales Company, I only wanted the opportunity to start a business. I gave no thought about which product, or how to select it, moreover doing a research. I hope these tips gave you some ideas as to how to proceed with your Direct Sales Business. I think youve covered great and important tips for launching a direct sales business. Even though Im not that familiar with this business model, do you think the tips that you discussed can be applied to drop shipping business? Because this is another type of business that I might consider as my second source of passive income. By all means, these tips can be applied to a similar business if you intend to start one. Of course, review them and see how well they can fit in with a drop shipping business. Hi and thanks for this very in-depth informations. Direct sales company seems to require quite a lot of research before launching. I guess, knowing a company personally could help a lot. It looks a bit like the drop shipping model that too depends greatly on reliable and quality suppliers. I think for the moment I stick to my affiliate marketing. With this system, I have nothing to do with payment and warranty. Of course, I too have to choose great products that are in demand and offer good commission. These tips are quite general and can be applied to similar businesses. 1. 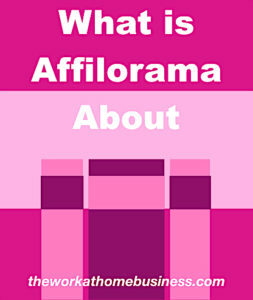 How do people know if the direct selling organisation is not an illegal pyramid? 2. How would people find this out before investing time, money and effort into it? Pyramid schemes are illegal, so a legitimate direct sales company would not get involved. You can check the Direct Sales Association website to see if a particular company is listed. In addition, you can also check the Better Business Bureau to see if there are any complaints. Following that, check consumer watchdog, and the Federal Trade Commission. Thorough Research can certainly keep you from falling in the wrong business deal.